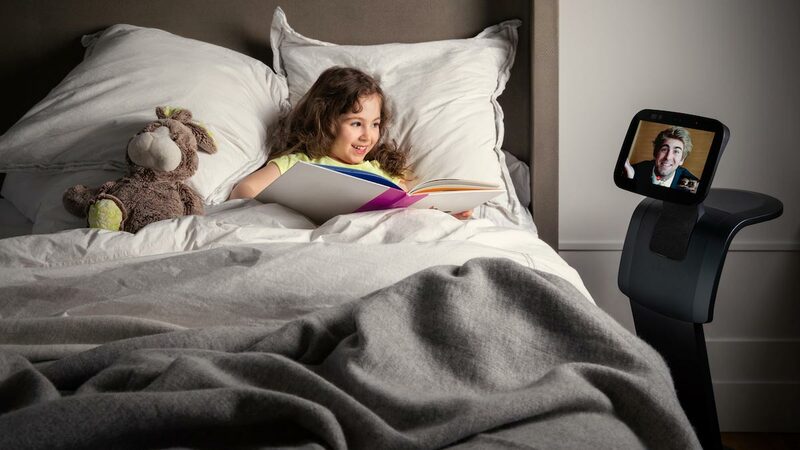 Another evolution of personal assistant technology, the tēmi (pronounced “tee-mee”) assistant robot is ready to deliver on the “always there” support that smartphones and voice systems provide while following users through their homes or offices. 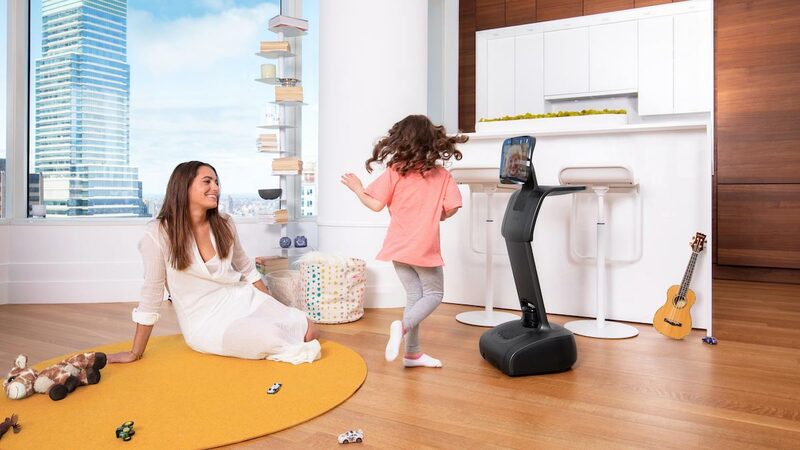 The assistant is accessed through either voice or the 10-inch touchscreen (that tilts to track faces), connecting users with smart home devices, online content, media, and telepresence. The 3’-2” tall robot boasts a pair of CPUs, one for the connected assistant and one dedicated to the sensors that keep the tēmi moving safely, including 360º LIDAR, depth cameras, RGB cameras, five proximity sensors, and an IMU (inertial measurement unit) sensor. These sensors are dedicated to guidance and obstacle avoidance and are entirely offline to ensure safety of users, pets, and the surroundings. Video Entertainment and High-quality Music comes from a Harmon-Kardon sound system. The tēmi robot features a small tray behind the touchscreen that can carry up to 6.6 pounds, and even charge mobile devices with an embedded wireless charger. Tēmi will be available for purchase soon on the website, and in an upcoming New York City retail location. All the details about tēmi, its developers, and its future are available at www.robottemi.com.